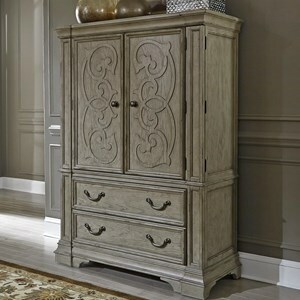 Add rustic, European style to your bedroom with this door chest. 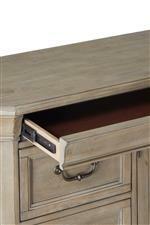 Many features make this piece highly functional and perfect for keeping your clothes neatly tucked away. 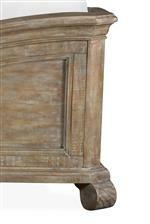 One such detail are the two drawers and two adjustable shelves hidden behind closed doors. 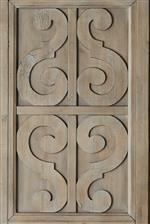 The elegant scroll work on the door fronts highlight the charming, relaxed vintage design of this chest. The Tinley Park Relaxed Vintage Door Chest with Two Adjustable Shelves by Magnussen Home at Prime Brothers Furniture in the Bay City, Saginaw, Midland, Michigan area. Product availability may vary. Contact us for the most current availability on this product. The Tinley Park collection is a great option if you are looking for Relaxed Vintage furniture in the Bay City, Saginaw, Midland, Michigan area. Browse other items in the Tinley Park collection from Prime Brothers Furniture in the Bay City, Saginaw, Midland, Michigan area.